Heavy rains lashed the national capital overnight, causing waterlogging and traffic snarls at various places in the city today. 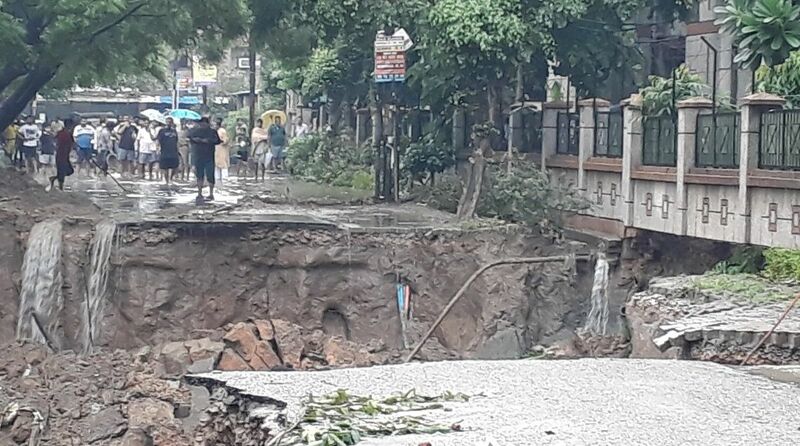 A road in Ghaziabad near Delhi caved in on early on Thursday as heavy rains lashed parts of the National Capital Region. According to the media reports, the road outside Vartalok Apartment in Vasundhara area of Ghaziabad caved in which left a gaping hole. As per the reports, no one got injured in the incident. The residents of the one of the apartments in the Vartalok Society were asked to vacate after the road caved in. The Indian Meteorological Department (IMD) has said the city will receive more rainfall in the coming days. “The minimum temperature recorded at 8.30 am was 26 degrees Celsius, normal for this time of the year. The humidity level was 93 per cent,” a MeT official said. The Safdarjung observatory recorded 4.6 mm rainfall till 8.30 AM, while the rainfall recorded by Palam observatory was 9.3 mm. The Delhi Traffic Police has listed out routes to avoid. 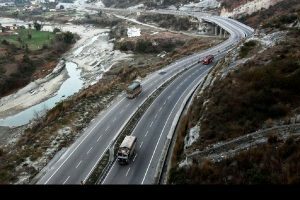 It said that traffic was affected at Ghazipur Murga Mandi, Khajuri Chowk, Modi Mil Under Flyover, SDM office Pushta Road, Raja Ram Kohli Marg from Geeta Colony to Pushta Road, Suraj Kund to Prahlad Pur & Mayur Vihar Ph-II Subway, Slip Road, Minto Road Under Bridge, Chatta Rail, Dwarka More to Road No. 201, Mayapuri Chowk & from Badarpur to Mehrauli, Ashram, Sarai Kale Khan towards Nizamuddin railway station and 11 Murti road.